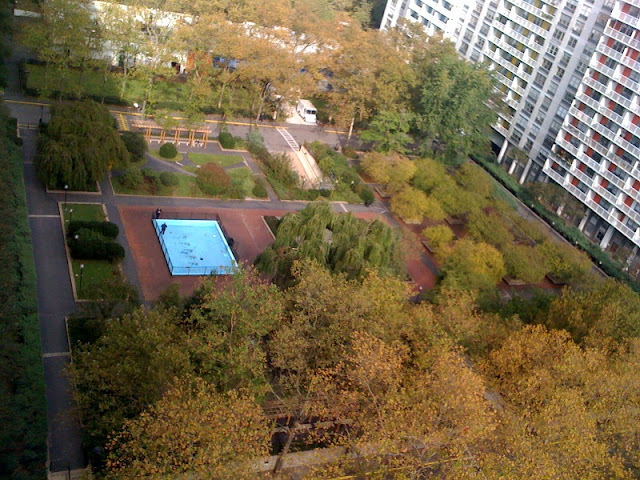 There used to be direct physical and visual access to the Sasaki Garden in New York City’s Washington Square Village, but New York University blocked access when it built a postal services center on LaGuardia Place. 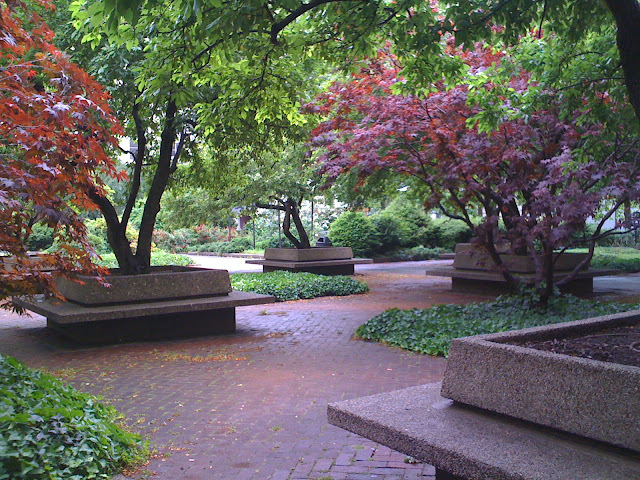 The garden was designed by landscape architecture firm Sasaki, Walker and Associates and completed in 1959. 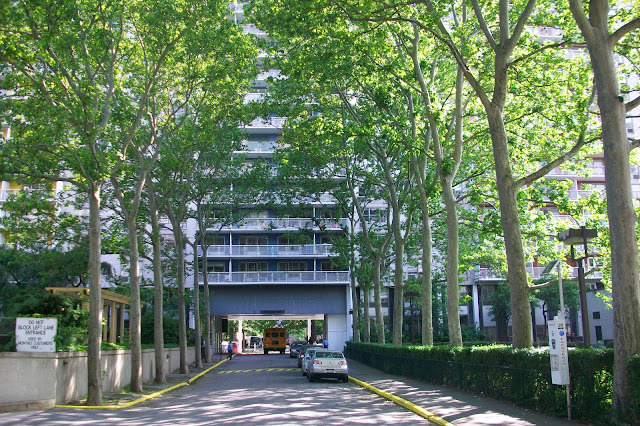 The Sasaki Garden is in the center of the North Block, a Greenwich Village "superblock" that replaced smaller blocks of low-rise, 19th-century buildings during a 1950s urban redevelopment project based on Le Corbusier’s Radiant and Contemporary City models. Andrew Bernam of the Greenwich Village Society for Historic Preservation has observed that, "Extra-tall towers were allowed with the understanding that they would always be offset by generous amounts of open space." The Sasaki Garden, a large playground and two small lawn areas — one of which is used for urban agriculture education — make up the generous open space in the North Block. 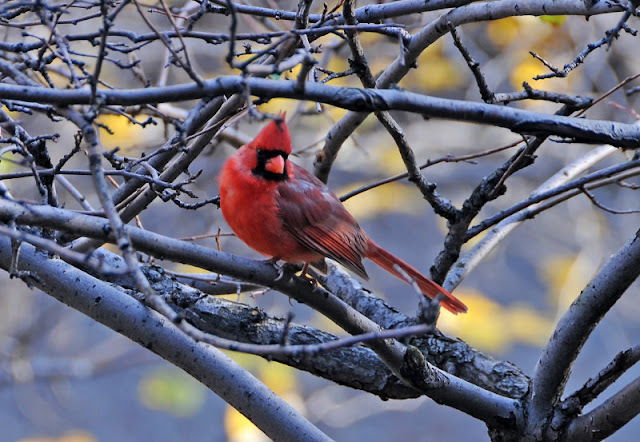 The garden is home to 110 trees and 12 species of birds. The garden and the North Block’s other green spaces are endangered. Over the next 20 years, NYU proposes to add an estimated 1.5 million square feet to the two superblocks. The Sasaki Garden would be destroyed. In a city that spends millions on sustainability projects and policies (see PlaNYC and NYC Green Infrastructure Plan), it is incomprehensible that the local university would propose to destroy green space and that the city would support it. If you would like to learn more about efforts to preserve the Sasaki Garden and the NYU campus expansion plan, contact the Greenwich Village Society for Historic Preservation and Community Alliance Against NYU 2031. The university’s perspective is available here. Georgia Silvera Seamans is a denizen of Sasaki Garden and author of Local Ecologist. excellent post! and thank you for including ways to support Sasaki Garden's preservation. The era of the superblock is over. NYC needs to break these blocks up into more dense, pre-WW II style grid systems like Berlin has been doing for the past 20 years. The beautiful and serene Sasaki Garden is a true example of the success of the idealistic "tower in the park" concept working.